"I'M JUST HERE TO HAVE MY EYES TESTED!" When your optometrist shines a bright light in your eyes, he or she is looking for more than just vision problems. Your eyes can reveal a lot about your overall health, providing clues to conditions that may not manifest for years or even decades. 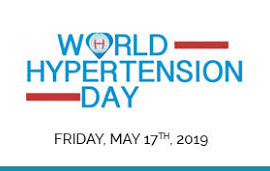 One of the most potent risk factors to visual and general health is high blood pressure (hypertension), the effects of which can be seen in the eyes often long before they become evident in other areas. If there are signs in the eyes, it is likely to be affecting blood vessels in the rest of the body. Detecting hypertension as early as possible is crucial to managing it and minimising the risks to general and visual health. Optometrists have been described as being "in the front lines of the battle". Blood pressure is the force of blood pushing against the walls of the arteries, the vessels which carry blood from the heart to the rest of the body. It normally rises and falls throughout the day but if it remains high for a long period of time it can damage the heart and lead to health problems in other parts of the body. The excessive pressure on the artery walls can cause them to thicken, weaken or become narrower. People with hypertension often report feeling fine, but because it has a gradual cumulative effect, symptoms are experienced only later in life. Optometrists have the unique opportunity to examine blood vessels on the retina at the back of the eye which is the only place in the body that they are able to be viewed. Problems picked up in these tiny blood vessels are frequently present, too, in blood vessels which cannot be seen. Changes due to vascular conditions such as diabetes and hypertension can be seen in the eyes, and these conditions diagnosed before more damage occurs and symptoms emerge. As with other health conditions, vision symptoms may not be experienced for years but with a comprehensive eye examination, the problem can be detected and treated early, and further vascular damage reduced. Initially, the hypertensive eye problems may be subtle, with the optometrist seeing nothing more than the narrowing of the blood vessels on the retina. Over time, the elevated blood pressure can lead to thickening of the vessels, blood clots, leakage of blood, fluid buildup under the retina and damage to the optic nerve which transmits visual messages to the brain. Ultimately there may be vision loss due to the reduced flow of blood and supply of oxygen to the retina. Cotton wool spots, white spots on the retina, may be evidence of damage to the nerve fibres of the optic nerve. You may not be aware of the changes in your vision as these occur gradually, but they are likely to become evident as the condition progresses. The key to management of hypertensive retinopathy is early detection. Treatment involves controlling blood pressure, generally with medication, to keep it at a safe and stable level, as well as making certain lifestyle modifications. Being overweight is a contributing factor to hypertension, and diet has an important role to play in maintaining healthy blood pressure. Eat plenty of fruit and vegetables and reduce salt intake and processed foods. Being active and exercising regularly is important for heart and vascular health. It may not be easy but cut back on smoking, or preferably quit. Watch alcohol intake, keep to the recommended amount of alcohol consumption. Visit your optometrist regularly for a comprehensive eye examination. Tears are produced by the lacrimal glands which are situated inside the upper eyelids above each eye. Normally, the tears flow over the surface of the eyes and drain through small canals to a sac which is attached to the side of the nose. From there they travel down the tear duct draining into the nose and becoming reabsorbed. A blockage can occur at any point in the tear drainage system, preventing the tears from draining properly, filling the duct with fluid, and causing watery, swollen, inflamed eyes and increasing the risk of eye infections. Although they may occur at any age, blocked tear ducts are most common in babies, with about 6 out of 100 newborns being affected. WHAT ARE THE SIGNS AND SYMPTOMS OF A BLOCKED TEAR DUCT? A blocked tear duct generally affects only one eye. Symptoms may include excessive tearing, eye redness, recurrent eye infection or inflammation, crusting on the eyelids or lashes, mucous or pus buildup in the corner of the eye, blurred vision, and painful swelling on the inside corner of the eye. The symptoms may get worse after an upper respiratory infection, such as a cold or sinus infection, and wind, cold, and sunlight sometimes exacerbate them. Babies who have blocked tear ducts usually have symptoms within the first few days to the first few weeks after birth. There are certain signs that parents should watch for. The infant may seem to produce a lot of tears which drain onto the cheeks. The eyes appear crusted with discharge, because mucoid material that is normally produced backs up onto the eye instead of draining into the nose. 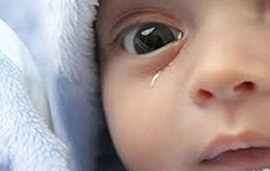 Occasionally, when the tear duct is blocked, an infection may develop causing the eye to become red, swollen and painful, and the baby may have a fever. Causes range from an under-developed tear drainage system to age-related changes later in life. Chronic infection or inflammation of the eyes, nose or tear drainage system can cause the tear ducts to become blocked. Trauma or injury to the face resulting in damage or scarring can disrupt the normal flow of tears, and even small particles of dirt can cause a blockage in the tear duct. One of the possible side effects of chemotherapy medication or radiation treatment is a blocked tear duct. Very rarely, long-term use of certain medications or eyedrops can lead to the tear duct becoming blocked. In infants born with a blocked tear duct the tear drainage system may not be fully developed or there may be a duct abnormality. The most common cause is the failure of the thin membrane at the end of the tear duct to open normally. In rare cases, abnormal growth of the nasal bone may put pressure on the tear duct, closing it off. ARE THERE ANY FACTORS THAT INCREASE THE RISK OF A BLOCKED TEAR DUCT? Older women are at highest risk of developing blocked tear ducts due to age-related changes such as thickening of the tear duct lining or narrowing of the duct. If the eyes are continually inflamed or irritated, there is a higher risk of a blocked tear duct developing. Previous surgery to the eyes, nose or sinuses may cause scarring and blockage of the tear drainage system. The use of eye medications for glaucoma can sometimes increase the risk of developing a blocked tear duct. CAN THERE BE COMPLICATIONS FROM A BLOCKED TEAR DUCT? Because the tears aren't draining as they should, the tears that remain in the drainage system become stagnant. This promotes the growth of bacteria, viruses and fungi, which can lead to recurrent infections and inflammation in any part of the tear drainage system. With most infants, blocked tear ducts resolve on their own within the first year as the drainage system matures. In adults, a blocked tear duct is almost always correctable and usually requires medical attention. Depending on the cause, it is recommended that the least invasive methods are tried first. Antibiotic eye drops, ointment or tablets may be prescribed if there is an underlying infection. Although this won't open the blockage, it will clear any discharge from the eyes. If there is narrowing of the tear duct, a small probe may be used to widen it, after which it will be flushed out with a saline solution. If the blockage was caused by an injury, the best approach may be to wait and see if it heals without any treatment. If not, a doctor should be consulted. If less invasive treatments are not successful, certain procedures which require a general anesthetic may be recommended. Balloon catheter dilation is a treatment option, during which the doctor guides a very thin catheter through the blockage in the tear duct, starting from the nose. A tiny balloon is then inflated several times to push away the blockage and open up the duct system. Another procedure that requires a general anesthetic is stenting or intubation. A thin tube is passed throughout the tear drainage system to the nose. The tube, or stent, remains in place and allows tears to drain normally. If no other treatment has been successful, surgery may be indicated to bypass the blocked tear duct, creating a new route for tears to drain from the eye directly into the nose. If the infant's tear duct does not open spontaneously, options that may need to be explored are similar to those used with adults, namely probing, dilation and irrigation. Surgery is rarely performed on children. CAN ANYTHING BE DONE TO ENCOURAGE THE TEAR DUCT TO OPEN? Fortunately, most cases of blocked tear ducts in babies resolve on their own without the need for treatment. Until this happens there are certain activities parents can do. Gently massaging the inside corner of the baby's nose 2 to 3 times a day has been found to be helpful. Clean any discharge or matter in the eyes with warm water to prevent infection from developing. Antibiotic eyedrops may be necessary if the discharge becomes excessive. CAN BLOCKED TEAR DUCTS BE PREVENTED? To reduce the risk of developing a blocked tear duct later in life, get prompt treatment for eye inflammation or infections. As tempting as it may be at times, try not to rub your eyes. Replace eye makeup regularly. If you wear contact lenses, diligently follow the instructions of your optometrist for their care and cleaning. We are experiencing a global waste crisis, with plastic and other waste material finding its way into our oceans and landfills and endangering our environment and wildlife. With this in mind, many organisations are seeking ways to recycle waste into useful products. In the optical world, groundbreaking companies all over the world are creating innovative eco-friendly eyewear from recycled materials, proving that it is possible to make good quality products in a socially responsible way. Because most people own at least one pair of sunglasses, this accessory is the one most often produced from recycled materials. However, sunglasses are not the only eyewear products made from waste. One eyewear company is making glasses from sustainably sourced wood with side shields made from recycled salmon skins. Fresh from the cannery, the skin, which is usually thrown away, is now dried and treated to make these side shields. Continuing the theme to help save the oceans from pollution, one company is making eyewear from abandoned fishing lines, while another reclaims old lobster traps. In Chile financial incentives are provided to a local fishing community to drop off discarded fishing nets which are endangering marine life; these are then fashioned into attractive eyewear. Many companies in various countries are making glasses from wood, which comes from diverse sources ranging from wine barrels and beer casks to skateboards, baseball bats and even abandoned homes. For music fans, companies based as far afield as San Diego and Budapest are turning vinyl records into cutting edge eyewear. And for wine lovers, unique eyewear is made from recycled wine corks. 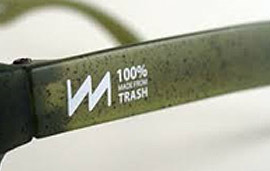 Several companies produce creative eyewear from recycled newspaper, comics and magazines. An American company is creating eyewear from denim, while a company in Tanzania is incorporating upcycled African fabrics into their unique designs. In addition to recycled plastic, some manufacturers are producing attractive sunglasses from cellulose acetate, a synthetic compound which is derived from plant cellulose and is easily biodegradable, making it eco-friendly. Not stopping at design, many companies are committed to giving back by donating part of their profits to charitable causes such as ocean clean-up, educational programmes or helping restore the vision of people in need, whether it's an elderly person in an underdeveloped country or an impoverished child close to home. A California-based company sums up their goals to "help protect the planet, change lives and have fun". 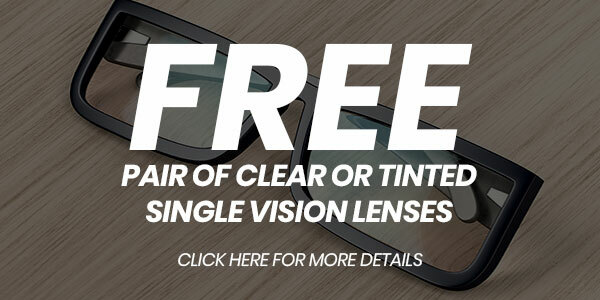 With every pair of glasses they sell, they donate a pair to someone in need via their global sight-giving partners. 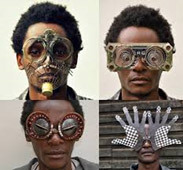 Self-taught Kenyan artist, Cyrus Kabiru, recycles waste into flamboyant rather than functional eyewear. "When I woke up every morning the first thing I'd see was trash" recalls Kabiru. "I used to say to my dad that when I grow up, I want to give trash a second chance. I don't see trash as waste; I see it as a chance for creativity." After finishing high school, Kabiru's father wanted him to study electronic engineering, like most members of his family. Kabiru, however, had no desire to study. "I grew up being a bad example," says Kabiru. "Grownups used to tell their kids, 'you need to work hard or you'll end up like Cyrus.'" He rented a studio where, apart from his unusual spectacles, he started working on colourful and satirical paintings, as well as sculptures, all made from recycled materials collected while roaming the streets of Nairobi. Today, Kabiru's remarkable creations and commitment to the environment are increasingly earning him international recognition. He has been invited to speak at major events, while his work has been exhibited in many shows across the world and right here in South Africa. Closer to home, Kabiru says things are changing as well -- his perseverance and hard work have now turned him into a "good example" for youth in his community. When he's not crafting spectacular artwork in his studio or scouring the streets for materials, Kabiru is visiting rural communities in Kenya as part of his outreach initiative, aimed at encouraging creativity and raising awareness about ecological issues in his country. He holds workshops and teaches people how to create art with the materials surrounding them in an environmentally friendly way. Many people living in countries with a harsh dry climate, such as South Africa, develop a thin film on the white of the eyes, which grows from the nasal side towards the centre of the eye. This is called a pterygium and is sometimes referred to as "surfers' eye" because it is common amongst people who spend a lot of time outdoors exposed to sun and wind. It usually appears during adolescence or early adulthood, grows slowly over time and generally does not cause concerns or require treatment unless it interferes with vision. The main sign of pterygium is the growth of pink fleshy tissue on the clear membrane on the white of the eye, either in one eye or both. Sometimes there are no symptoms, but when there are, they typically tend to be mild. Common symptoms include indications of eye irritation, such as redness, itching, burning and a feeling of something in the eye. If it grows large enough to cover the cornea it can interfere with vision. In some cases, wearing contact lenses may be uncomfortable. Pterygium tends to go through phases of active growth, when it is more inflamed and annoying, and quieter phases of inactivity. It usually becomes inactive after a few years of growth. The exact cause of pterygium is not known, but it tends to occur most often in people who live in warm dry climates and spend extended periods of time outdoors in sunny windy environments. Excessive exposure to ultraviolet light is thought to be a contributing factor which may lead to these growths. Other risk factors include exposure to irritants such as dust, smoke and pollen. Your optometrist may diagnose pterygium using a slit lamp, which helps in the examination of the eye with bright lighting and magnification. Additional tests may include a visual acuity test, corneal topography which measures curvature changes in the cornea, and photo documentation which helps to track the growth of the pterygium over time. Unless the pterygium is interfering with vision or causing severe discomfort, treatment is seldom required. If treatment is indicated it is usually to relieve the symptoms of redness and irritation. Eye drops or ointments may be prescribed to reduce the inflammation, and antihistamine medication can relieve the itching. Surgery may be recommended if there is a problem with vision, if the symptomatic treatments are unsuccessful, or for cosmetic reasons. Although surgical removal is the only "cure" for pterygium, it can grow back. To a large extent, the development of pterygium may be prevented or at least slowed down by wearing sunglasses every day whether the weather is sunny or overcast, and by limiting exposure to harsh environmental elements such as wind, dust and smoke. Choose sunglasses that block 99%-100% of both ultraviolet A (UVA) and ultraviolet B (UVB) radiation. Wraparound styles provide the best shield against ultraviolet light, dust, and wind. Wear them when you're in the car, too. For added protection wear a hat with a brim. Using artificial tears to keep the eyes moist in a dry climate helps reduce irritation and the feeling of grittiness in the eyes. create discomfort and interfere with your vision. Do your eyes feel dry? Are they red? Itchy? Watery? Are you extremely sensitive to light and glare? Has your vision changed suddenly? We all experience these symptoms at some time or another, and we all find reasons for them - lack of sleep, the season, the weather, the cat, aging. What we seldom consider is the side effects of medications we may be taking, be they prescription medications, over the counter drugs or even supplements. Most people are aware, and most medical practitioners warn us of the side effects of medication. What many people are not aware of is that many of these effects manifest in the eyes, which are comprised of a variety of cells, each of which may be susceptible to different side effects of medication. 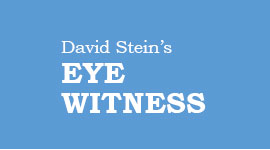 Many of the medications that cause eye problems are commonly used by the elderly population. While these side effects are generally relatively minor and usually disappear once the medication is discontinued, some may be more serious and require treatment. 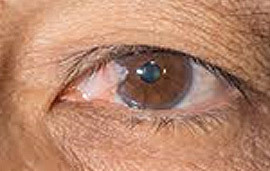 A cataract is a condition of the eyes in which the lens becomes cloudy, impairing vision. Corticosteroids have long been associated with the development of cataracts, regardless of how they are administered. Other classes of drugs that may speed the process of cataract development include certain antipsychotic drugs, some medications for heart disease, malaria, rheumatoid arthritis and lupus. Each time we blink tears spread across the surface of the eyes, keeping the eyes moist, keeping out dust and preventing infection. If fewer tears or tears of poorer quality are produced, the eyes may water, feel dry and gritty, and be sensitive to light. Many factors may cause dry eyes. The medications that may reduce tear production include diuretics, antihistamines, antidepressants, betablockers and birth control pills. While using artificial tears may relieve the symptoms, sometimes the preservatives in these exacerbate the problem. Seek the advice of your optometrist regarding the most suitable artificial tears to use. The eyelids and conjunctiva, the thin membrane covering the inner part of the eyelid and the outer part of the cornea are frequent targets for drug toxicity. Allergic skin reactions caused by a variety of medications may also occur on the eyelids. The preservatives used in certain eye drops can cause redness of the conjunctiva. Glaucoma is a disease characterised by damage to the optic nerve generally accompanied by elevated pressure in the eyes. There are two types of glaucoma. In open-angle glaucoma, pressure in the eye builds up slowly, gradually reducing the visual field and potentially leading to loss of vision. The most commonly implicated drugs are corticosteroids, whether administered into the eye, by mouth or by any other route. Certain anticancer drugs have also been shown to cause this condition. Angle-closure glaucoma is characterised by the sudden onset of severe eye pain, redness and cloudy vision, and is regarded as a medical emergency. Sulfa as well as certain medications used for depression, Parkinson's disease, seizures, ulcers, asthma, arrhythmia, and hemorrhoids can trigger glaucoma. The retina transforms the light entering the eyes into electrical signals that travel along the optic nerve to the optical cortex in the brain which allows us to see the images. Toxic substances can reach the retina through the blood supply, potentially resulting in significant visual disturbances. Before starting to take certain medications that treat malaria, rheumatoid arthritis and lupus, it is crucial to have an eye examination followed by regular checkups, as these drugs can cause retinal damage which may be permanent unless detected and treated early. Some antipsychotic medications can lead to blurred vision, loss of visual fields and impairment of night vision as they are deposited on the retina. The optic nerve carries visual information from the retina to the brain. A number of medications can affect the optic nerve but stopping them when symptoms occur usually improves or resolves the problem. Prolonged use of some antibiotics can cause optic nerve damage, as can drugs for erectile dysfunction. One of the anti-tuberculosis drugs causes optic nerve damage and various vision abnormalities such as loss of colour vision and reduced visual acuity. 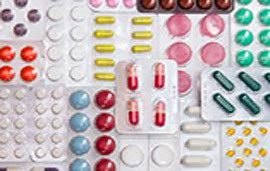 Signs of negative reactions to medication include increased sensitivity to light, focusing difficulties, blurred or double vision, floaters or flashes in the eyes, eye redness or irritation, yellowing of the whites of the eyes, changes in colour vision and differences between the pupils' reactions to light. If you experience sudden severe eye pain and loss of vision, seek medical intervention immediately. If symptoms of eye problems begin shortly after starting a new medication, it is likely that they are associated with the medication. Consult your optometrist, bringing with you a list of all the medications you are taking - prescription or over the counter drugs, supplements and herbal remedies. Find out how frequently your vision should be monitored, so that if there are problems they can be managed over time. As well as communicating with your optometrist, it is essential to inform your other health care practitioners about chronic eye conditions you may have. It is your responsibility to let your doctor know about the health of your eyes and the concerns you may have regarding the possible side effects of medication on your eye health. Sometimes, in the interest of general health, certain medications need to be prescribed even if there is a risk of side effects that may impact on visual health. Consultation and discussion with your health care practitioners, asking relevant questions and being informed facilitate the effective management of health issues. Why is December called the holiday season? Just take a look at April. It barely even counts as a month because it has so many holidays. This is a time of long weekends and mid-week public holidays that inspire us to make even more long weekends. It's a miracle anybody gets any work done. But hey, we can't beat ‘em, so we have no choice but to join ‘em. The problem is all these holidays can be a real strain on your eyes. Firstly, if you're going on a road trip, you have to strain your eyes to read the tiny little GPS map on your phone. Map books were books with pages you could actually read. Now anyone of a certain age might struggle to read what's on a screen. So there's quite a bit of eye strain there. Sure, the GPS voice tells you where to go, but you have to deal with the attitude when you take a wrong turn. Yes, the voice tells you how to re-route, but there's definitely some passive aggressive irritation in her tone. Lack of sleep is not good for eyes. And it's all too common during these times of catching up with family and having a drink with friends. Not to mention all the TV watching over the holidays. If our eyes used to go square from watching too much TV, what shape do they go now when we watch a TV, a cellphone and a tablet... all at the same time? And so it goes on. Braai smoke gets in your eyes. The sun takes its toll. Your contact lenses dry out from a lack of humidity at your destination of choice. But holiday time is holiday time, and we forget these irritations as soon as we sadly go back to work - even if it's only for (yet another) "short week". Seriously, take care of your eyes and take care of yourself during this time of road trips and chocolate eggs. And hey, just when a new month begins and you're ready to go back to work, it starts all over again.